Editor’s note: I stole the title for this post from the front cover of the Nov/Dec 2017 print edition of Bicycling Magazine. Wow, maybe a sensible approach to carbs is finally going mainstream, I thought.. Alas, when I turned to page 20, I found an article promoting ramen noodles over pasta. *Sigh*. Do I need more carbs? If I eat carbs, should I front-load or back-load them? Should my potato be regular potato or sweet potato? Should I eat my potato plain, or with a pat of butter? Or olive oil? And does my potato have the optimal glucose:fructose ratio??? *Sigh* This is too mentally and emotionally draining…. I’ll just default to the same old chicken, broccoli, and coconut oil. Do the thoughts above (or something similar) race around in your mind when it’s time to make a decision about what to eat? Do you find yourself feeling depleted during your workouts but are too scared to eat more calories or carbs to fuel training and recovery? Many athletes struggle to consume enough calories to support their training and health, whether it be for physical or psychological reasons. Adding in more carbs and/or calories when you’ve been chronically underfueling can also become a daunting task. We’ve written before about how overtraining and underfueling can wreak havoc on an athlete’s performance and health. We’ve also previously shared the recipe for Dr. Tommy Wood’s smoothie, which gives athletes an easy way to consume more calories and reap the benefits of nutrient-dense plants. But there are always more questions as to how exactly to go about eating more, specifically when it comes to whole food carbs, which tend to take up a lot of volume. While some people might scoff and think “I wish I had the problem of needing to eat more!” there are others who truly struggle to consume enough carbs/calories to support training and overall health. The strategies discussed in this article are intended to be temporary ways to help those athletes who are in a state of low energy availability. To give our thoughts some real-world context, we’ve collected some questions from clients or readers of the blog and answered them below. The first handful of questions pertaining to eating more carbs in the context of low energy availability. The last two questions are more general for those who need or want to add more carbs into their diet. TL;DR - eat the carbohydrate sources that work for you and try not to overthink it. 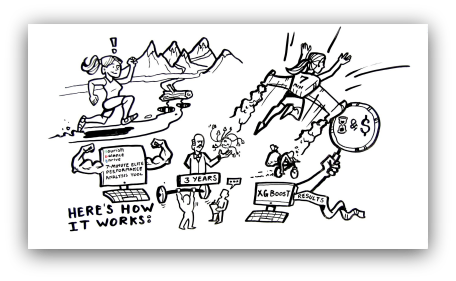 How can I measure my total energy expenditure? A fitness tracker will tell me how many calories I burn, but what about my resting metabolic rate? Also if I have hypothyroidism and my metabolic rate has decreased should I still eat at that base level or eat at a surplus? There is no need to get caught up in measuring resting metabolic rate (RMR) or even determine total energy expenditure. If you have an underactive thyroid from overtraining and/or underfueling, your RMR is almost certainly depressed  but will increase once you begin fueling properly. Measuring basal body temperature first thing upon waking is an easy and inexpensive way to track thyroid function. Regularly waking up with an oral temperature below 36 degrees Celsius or 97 degrees Fahrenheit is a good indicator that your thyroid might not be functioning optimally. Additionally, pay attention to your overall mood and energy levels. The important thing is to get into positive energy availability. Do this by gradually increasing your calories and don’t get hyperfocused on a specific number. What are the best sources of carbs? Where do I get the best bang for my buck? For example white rice is a better carb source than a sweet potato, but sweet potatoes have a better nutrient profile. Are there magical carb sources that have good nutrient profiles but also higher carbs? The best carbs are those that work for you! Don’t obsess over bad/good/best sources and don’t fear carbs like white rice because they’re “not paleo and devoid of nutrients.” The truth is that rice is a convenient way to pack a punch when it comes to carbohydrates. For those with gut issues, rice is also generally well-tolerated. 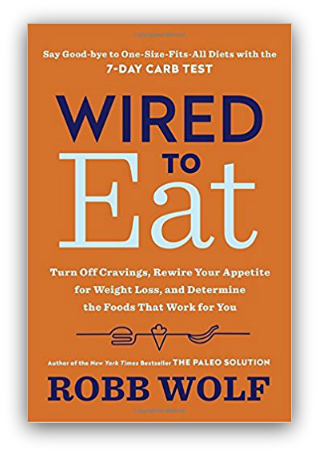 If you suspect you react poorly to a specific source of carbohydrates, check out Robb Wolf’s 7 Day Carb Test outlined in Wired to Eat. Eating a variety of dense, starchy carbs (potatoes, sweet potatoes, plantains, rice, yuca, and taro) and fruit is probably a good idea to maximize your intake of different prebiotic fibers and polyphenols. As far as nutrient density is concerned, even the most nutrient-dense carbs (such as dark purple sweet potatoes) don’t compare with foods like organ meats and egg yolks. As long as you’re getting plenty of other nutrient-dense foods into your day, don’t worry about optimizing nutrient density with your carbs. Should I prepare carbs in a certain manner? If I cook and cool a sweet potato for example it will increase the resistant starch and lower the glycemic index but won’t that decrease the effective carb amount? If I am looking to maximize my carb intake should I avoid the cooking and cooling method? The process of cooking and cooling starches is a great way to increase resistant starch content and reduce the glycemic response to the food. When tolerated, resistant starch can be great food source for nourishing gut bacteria. However, if you’re trying to maximize the carbohydrate content of a specific food, cooking and cooling starches probably isn’t optimal, as it will decrease the total amount of digestible carbs [2, 3]. Additionally, if you’re currently struggling with gas and bloating, cooked and cooled starches may not be your best friends at this point in time. All of that being said, unless you want to spend a ton of unnecessary time in the kitchen every time you’re going to eat carbs with a meal, don’t overthink it. If cooking starches in larger batches makes it easier and convenient to eat more carbs, then sometimes they’re going to have to be cooked and cooled. The important thing is that you’re eating them! What are some tips and tricks if I am having trouble taking in enough carbs eating a Paleo/Primal diet? Three words: starch, salt, and fat. The combination of those three things gets most people in trouble. However, you can use “reverse Hungry Brain tactics” to your advantage IF you’re an athlete who struggles to get in enough calories and/or carbs. Add salt and any other spices and herbs to taste. Adding an acid such as vinegar or lemon juice can also help to reduce “palate fatigue”. Vinegar has many health benefits, and also conveniently lowers the glycemic response to high carb meals [3, 4]! Keep in mind that taking advantage of “food reward” by making hyperpalatable meals is a tool in the tool box. It has a time and place for those needing to consume more calories, but just like extremism with training or restrictive diets, it can get you into trouble if taken too far for too long. While not starches per se, there is also no reason for a lean, healthy athlete to avoid fruit. Choose those that work for you, and are local and in season (for the best flavor and nutrient profile). And while we love to promote the consumption of leafy green vegetables, they just don’t have many carbs. This is great for those people looking for more volume and fewer calories, but massive plates of leafy greens may not be ideal for an athlete in the state of low energy availability. Eat your veggies, but realize that fresh, seasonal fruit need not be demonized and can be a delicious way to vary the carb sources in your diet. The short answer is yes, you’re going to have to eat when you’re not hungry. When you’ve been chronically under-eating, listening to your intuitive hunger cues sadly won’t dig you out of the low energy availability / hypothyroid ditch. The good news is that it gets easier and less uncomfortable once you bite the bullet and just start eating more. You don’t have to push yourself to the point of feeling sick, but you’re probably going to have to eat past satiety. You can’t push your plate away when you’re 80% full. 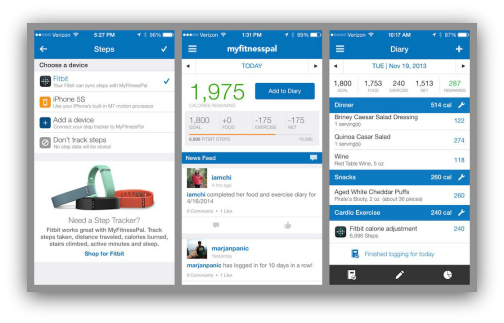 (That’s a great tool for folks who want to lose weight, but not for someone who needs to eat more.) In this scenario, focus on reducing (but not eliminating!) bulk, such as raw fibrous vegetables, on days you want to eat more calories. If it feels like you’re constantly force-feeding yourself, back off every few days (perhaps on a recovery or less-active day) to a level that feels more natural and comfortable. This will ease the burden on your digestive system and might make the process more psychologically tolerable. If fat and carbs are important how should I break down my macronutrient ratios? Should I try to keep the ratios the same but just up the amounts? Should I be taking calories from my protein intake? Sometimes too much knowledge can just result in a whole lot of obsessing and over-thinking. This then leads to stagnation and lack of progress towards any health goals. We see it all the time, so don’t think you’re alone! For the time-being, forget about macros. For someone who is extremely insulin sensitive and needing to increase calories, you can probably be macronutrient agnostic for a period of time as long as you’re eating nutrient-dense whole foods. The important thing here is to just find ways to consume more calories! Obviously we’re not telling anyone to eat Twinkies… Remember the CONTEXT, and that eating like this is temporary. Think of this as a rather pleasant (and tasty) short-term strategy to dig you out of the low-energy availability ditch. When a sluggish thyroid is caused by overtraining and underfueling, the best medicine is more calories and less stress and intense training. The next two questions reference this article. Any concerns over combining carbohydrates and fats in one meal (such as the lunch meal described above)? I have read that this can be problematic - especially if in a hypercaloric state to build muscle. If not, is it better to have certain types of fats with carbs? For example, MUFA or PUFA over SFA? For those who are metabolically healthy, eating carbs along with natural, unprocessed fats is almost certainly not an issue. However, for people with insulin resistance, dialing down the carbs when eating a fat-heavy meal and vice versa might be more important since elevated fatty acids may further impair already poor glucose metabolism. The type of fat consumed is, again, a more important variable for those with glucose dysregulation or insulin resistance. For example, in healthy people, butter suppresses the glucose response to potatoes and insulin is relatively unaffected. For individuals with type 2 diabetes, butter added to potatoes increases the insulin response , however olive oil does not . Overfeeding studies have shown that given a normal, western diet (i.e. high carb), overfeeding on polyunsaturated fats (PUFAs) results in a more optimal (greater) lean:fat mass ratio of the weight gained [7, 8]. However, overloading your body with PUFAs (even those that are not damaged with heat and processing) is probably not the healthiest of ideas. Eat the naturally occurring PUFAs in plants, animals, and sea food and get the majority of your extra fat calories from monounsaturated fats such as avocados, olive oil, and macadamia nuts when combining with carbs. Is it better to have carbs after training or before? In the example, above you have some pre-workout with berries, but the sweet potato will probably have more. So, is it best to have them post-workout? I have also heard to have them late in the evening, but this has never made sense to me. Pre-workout carbs probably won’t have much of a performance benefit unless it’s a prolonged effort (greater than two hours), or you’re refuelling before a second workout of the day. Any carbs consumed around a workout, whether before, during, or after, will have a smaller effect on blood glucose and insulin. However, regardless of your metabolic health, eating carbs post-workout makes the most sense due to non-insulin mediated glucose uptake into skeletal muscle . 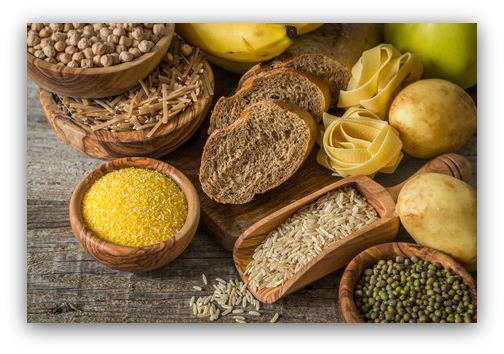 Pre or intra-workout carbs may also cause gastrointestinal distress, especially if the exercise is intense - another reason consuming carbs post-workout is usually the best option. All of this said, we always recommend experimenting to discover what works best for your physiology. One simple way to do this is to track your blood glucose after a post-workout carbohydrate-containing meal. If your blood glucose spikes higher than you’d like, or you get later symptoms of hypoglycemia, then split the carbs between pre and post-workout. Despite all the carb backloading hype, eating a ton of carbs late in the evening right before bed probably isn’t a smart idea for most people (assuming you’re not working out super late at night - something you shouldn’t be doing anyway!). Exercise aside, you’re metabolically able to handle carbs better earlier in the day . Returning to those questions at the opening of this article, there is certainly a time and place to dial in your food choices to a tee. But if thoughts about carbs, macros, and calories are consuming your brain space every time you go to eat a meal, you officially have permission to not overthink it. Choose nutrient-dense (and if needed, also calorie-dense) whole foods that you enjoy and work with your physiology. Don’t lose sleep over the details. 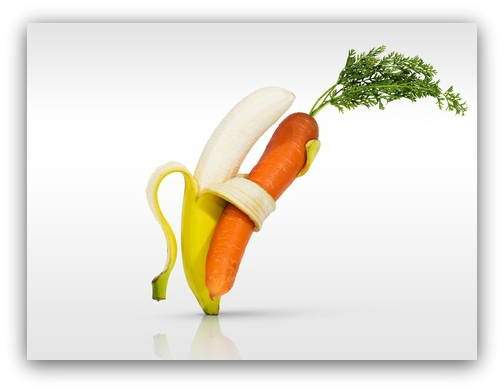 Remember that there’s so much more to life besides whether you opted for the sweet potato or banana, and whether you ate it before or after training. If you’re one of those folks who needs to temporarily bump up the calories (or carbs), keep in mind that there are plenty of ways to fuel yourself well. Chronically agonizing over and questioning your food choices can result in unnecessary psychological stress. This can lead to far worse long-term health outcomes than if you just enjoyed the Paleo cheesecake and then moved onto more important, exciting things in life! Our new machine learning algorithms predict blood glucose dysregulation with 80% sensitivity, 98% specificity. Special expert feature: append ?p=1 to the URL for your results and you will see the probability score. If it’s less than 50%, the model predicts probably not, which is good! Woods, Amy L., et al. "New approaches to determine fatigue in elite athletes during intensified training: Resting metabolic rate and pacing profile." PloS one 12.3 (2017): e0173807. Sonia, Steffi, Fiastuti Witjaksono, and Rahmawati Ridwan. "Effect of cooling of cooked white rice on resistant starch content and glycemic response." Asia Pacific journal of clinical nutrition 24.4 (2015): 620-625. Leeman, Margareta, Elin Östman, and Inger Björck. "Vinegar dressing and cold storage of potatoes lowers postprandial glycaemic and insulinaemic responses in healthy subjects." European journal of clinical nutrition 59.11 (2005): 1266-1271. Johnston, Carol S., et al. "Examination of the antiglycemic properties of vinegar in healthy adults." Annals of Nutrition and Metabolism 56.1 (2010): 74-79. Gannon, Mary C., et al. "Effect of added fat on plasma glucose and insulin response to ingested potato in individuals with NIDDM." Diabetes Care 16.6 (1993): 874-880. Rasmussen, Ole, et al. "Differential effects of saturated and monounsaturated fat on blood glucose and insulin responses in subjects with non-insulin-dependent diabetes mellitus." The American journal of clinical nutrition 63.2 (1996): 249-253. Bray, George A., and Ronald M. Krauss. "Overfeeding of polyunsaturated versus saturated fatty acids reduces ectopic fat." Diabetes 63.7 (2014): 2222-2224. Rosqvist, Fredrik, et al. "Overfeeding polyunsaturated and saturated fat causes distinct effects on liver and visceral fat accumulation in humans." Diabetes (2014): DB_131622. Holloszy, John O. "Exercise-induced increase in muscle insulin sensitivity." Journal of Applied Physiology 99.1 (2005): 338-343. Johnston, Jonathan D. "Physiological responses to food intake throughout the day." Nutrition research reviews 27.01 (2014): 107-118.